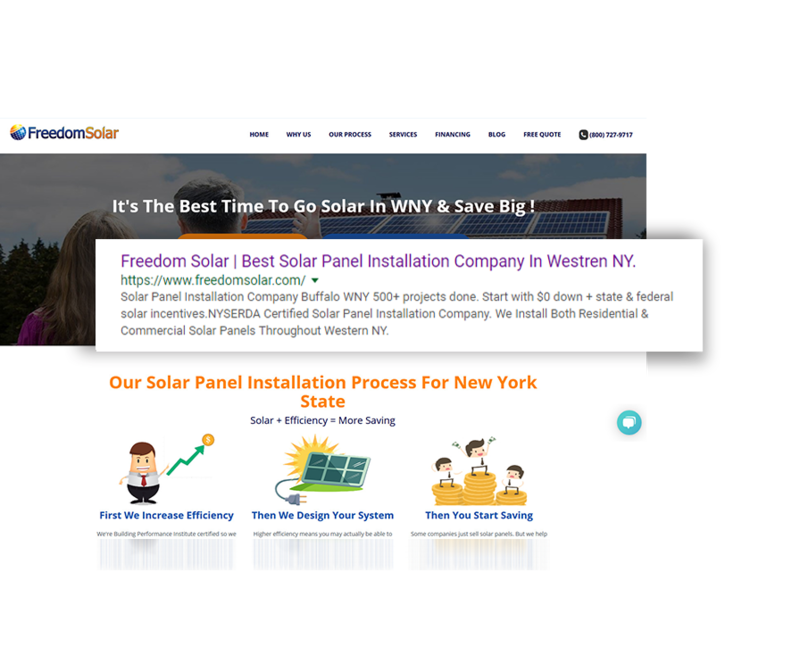 Superior Web Works | Another Client Success Story Freedom Solar. 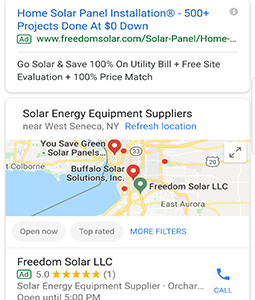 The Freedom Solar is a full-service commercial and residential solar panel installation company headquartered in Buffalo, New York, serving the whole Western New York area. 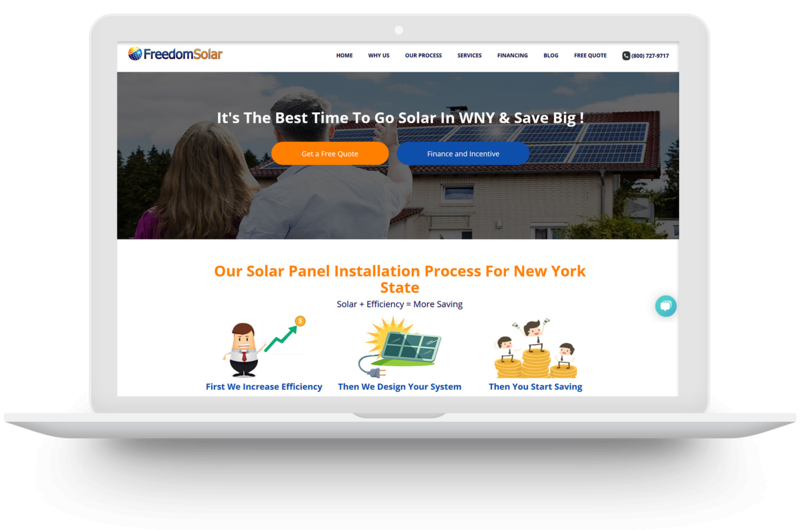 As an NYSERDA licensed solar installer, Freedom Solar is uniquely committed to providing environmentally sustainable solutions to all of their clients. They needed a marketing company that could help them dominate entire Western New York area and increase their market share. For this project, we decided to take inbound marketing approach through which we developed a fully responsive conversion ready website. To acquire more leads via S.E.O we build hyper-targeted local landing pages so that company can have the more online presence in targeted Cities. Due to large volume of keywords and high competition in market we also suggest our client to invest in P.P.C campaign. So that client doesn’t miss any market share. The website was redesigned in 3 weeks with engaging content and custom design special offers and all local landing pages. From the day one, we use advance Pay Per Click techniques with resulted in doubling the sales figures. As a part of CRM integration, we integrate a fully functional CRM with their website, By this, they enhanced their data tracking through an online dashboard where they could easily track their new leads and even listen to incoming and outgoing calls for quality assurance. 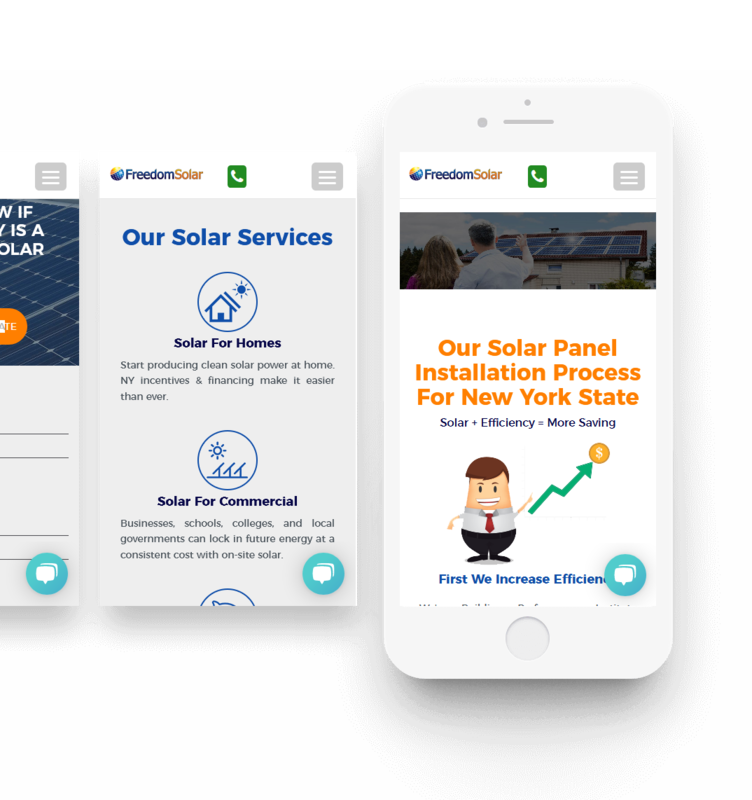 Freedom Solar also implemented a website redesign to make their site user-friendly and easier to navigate for visitors so that their customer can collect more information about solar and leads become more qualified. 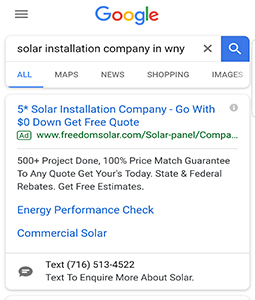 Their team utilized paid ads on Google to concentrate ad delivery on their most ideal customer base in Western NY to increase lead quality and revenue and since then they have doubled their sales. We worked to improve their ranking on Google search results to boost their online visibility and drive more leads. 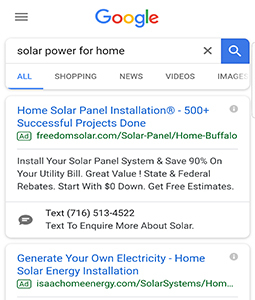 Freedom Solar went from getting a flood of low-quality leads to getting the right types of leads that actually produced results. 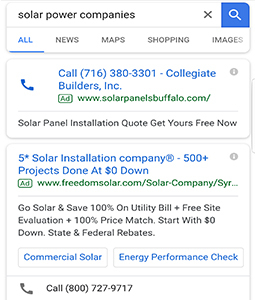 The solar installation company continues to see a positive trend in the number of new customers, referrals from friends and family, and other offsite listings. Within just 5 months of partnering with Superior Web Works. Freedom Solar saw a 58.6% increase in new customers.